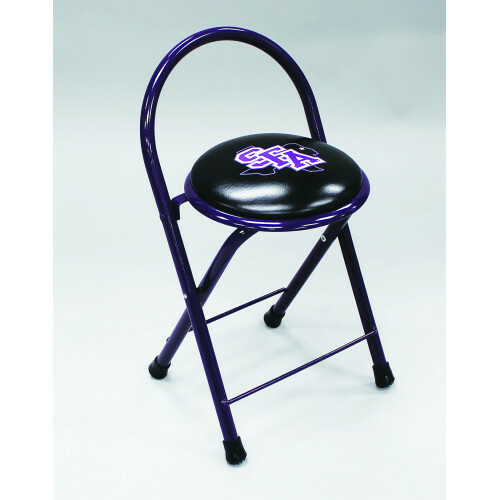 Metal Folding Stool - compact, comfortable & convenient! 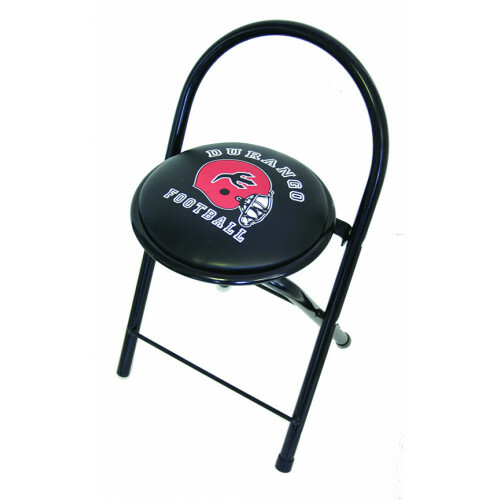 This stool comes with your personalized logo on the seat! Also, is available in several frame & vinyl colors. 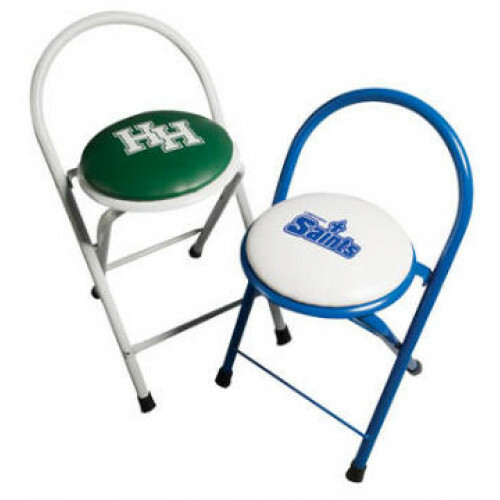 Great Logo Chair for courtside furniture or personalized folding chair! Price includes 1 or 2 color logo printing. For more than 2 colors, price will be determined by logo. Call for minimum pricing options.